At a time of unprecedented legal freedom, individual Americans feel less free to speak than any time in recent history. 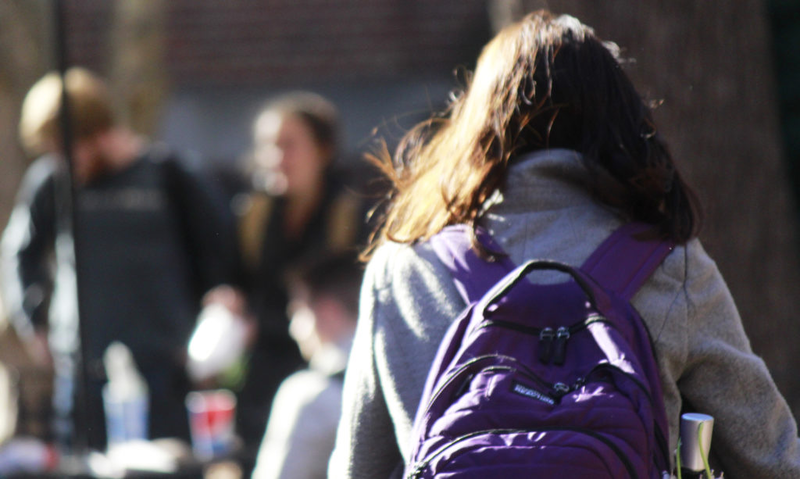 Online shame campaigns, economic boycotts, firings, and even physical threats are destroying the culture of free speech. National Review senior writer David French will explain that these threats have emerged before, and robust protections for individual rights – including anonymous speech – have turned them away. David will detail the legal and cultural threats to the safety and privacy of American citizens and outline a strategy for preserving the culture that makes us free. 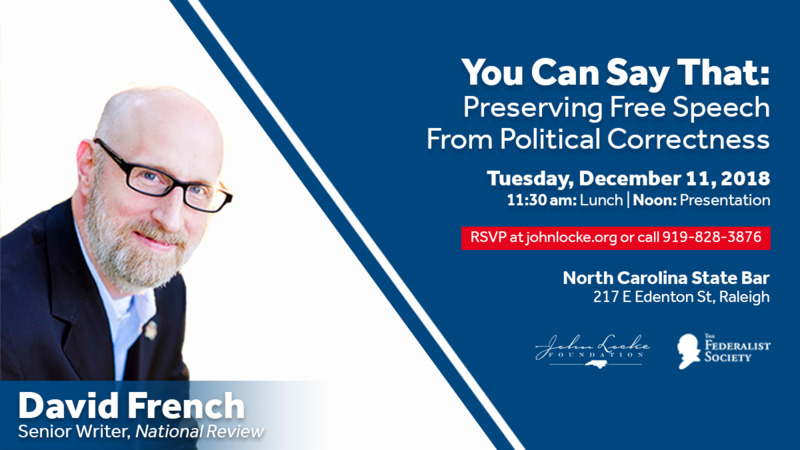 Come to the North Carolina State Bar Building on December 11th to hear David French speak on free speech and donor privacy. This event is free and open to the public. Lunch will be provided. Please register so we can get an accurate count for food.